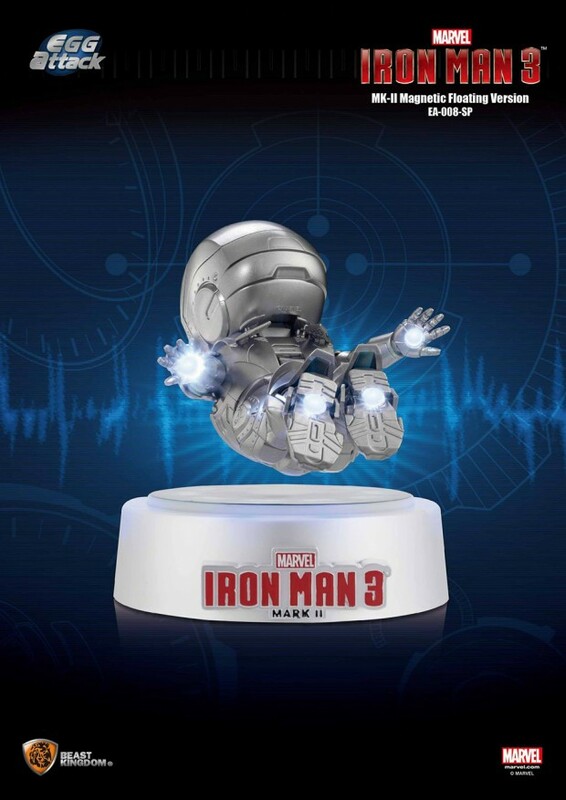 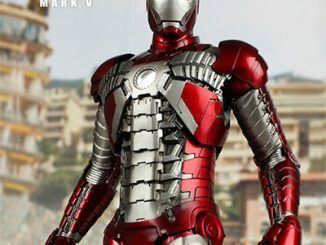 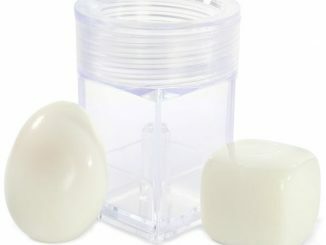 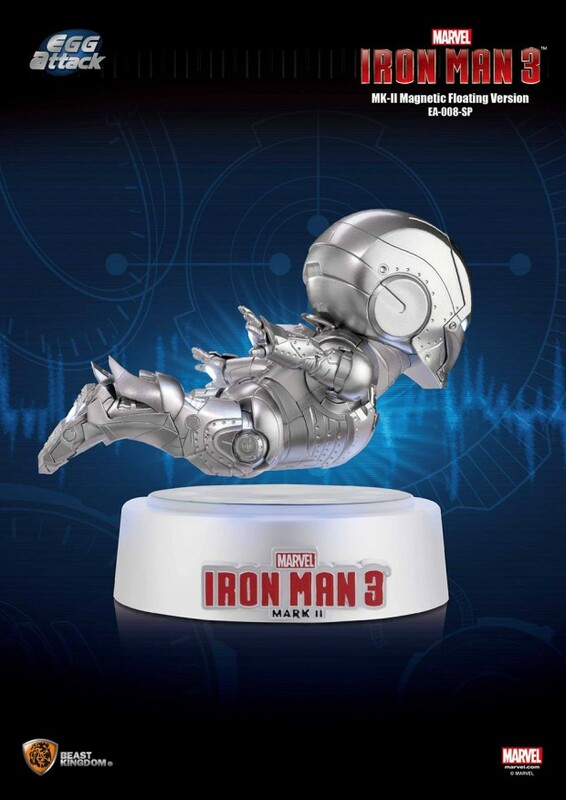 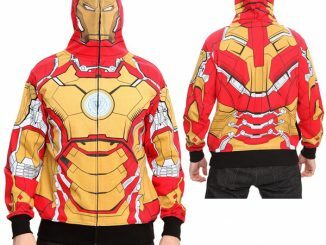 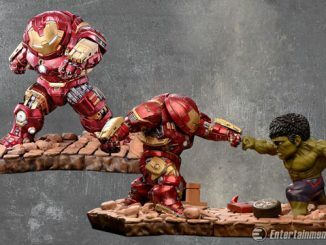 Tired of cool Iron Man goodies that just sit there in a very uncool way? 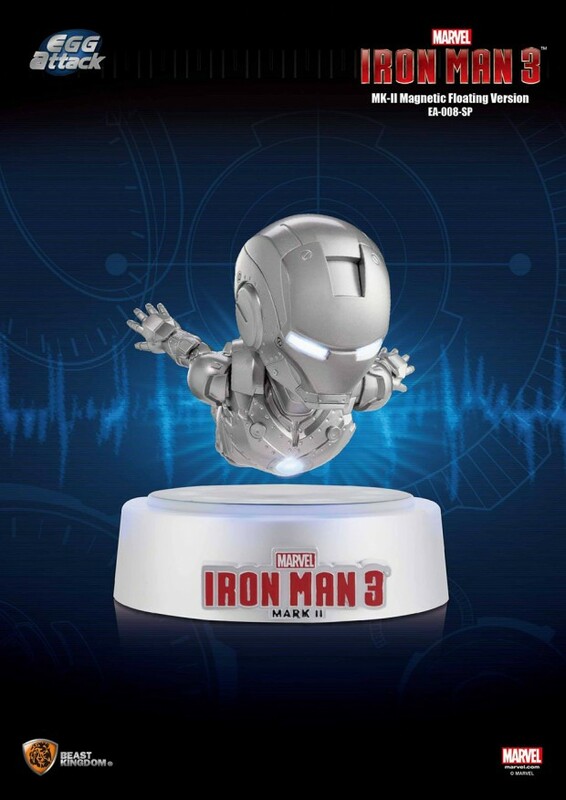 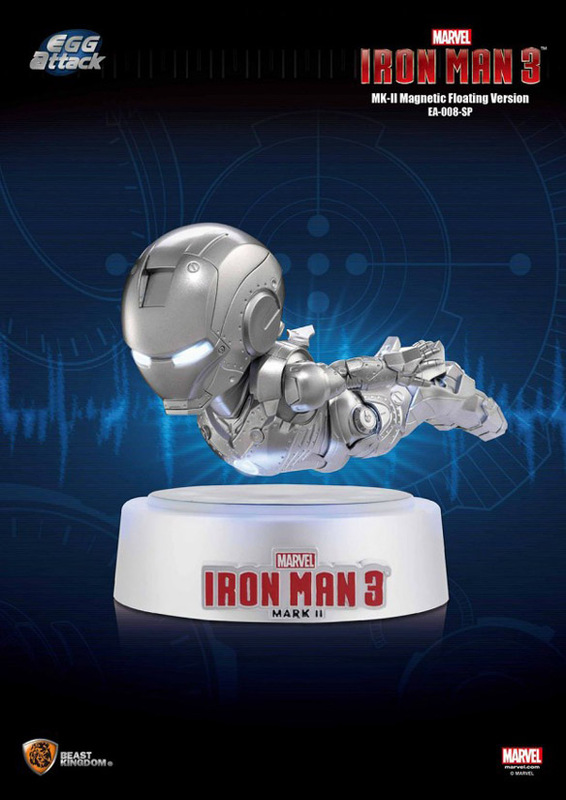 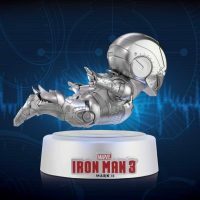 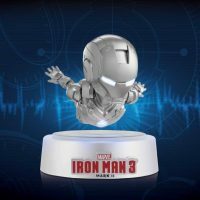 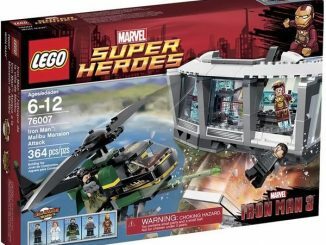 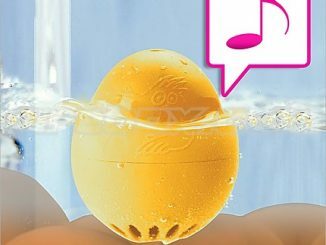 You’ll be excited about the Egg Attack Iron Man Mark II Special Floating Edition because it flies just like Tony Stark’s armor. 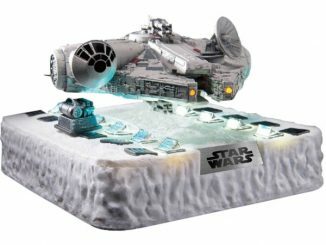 Okay, by ‘fly’ I mean floats in the air without any type of physical structure supporting it, but don’t expect to grab hold of this thing and use it as a substitute for commercial air travel. 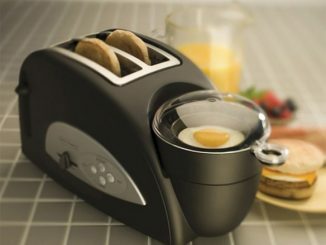 It’s good with the defying gravity thing; not so much with the forward propulsion. 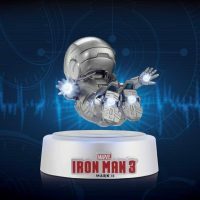 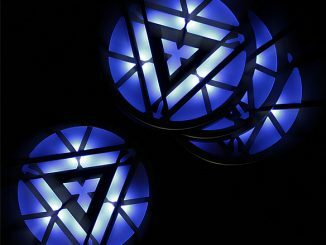 Measuring a little over 6-inches in length, the figure includes high-quality metal coating, LED lights in the eyes, chest reactor, and feet, a glowing magnetic levitation base, a customized battery case, and a protective sheet. 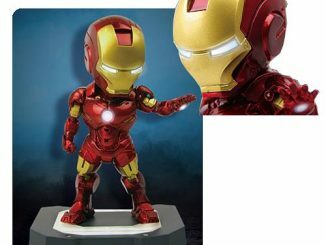 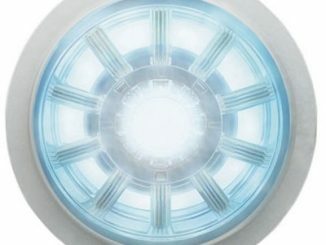 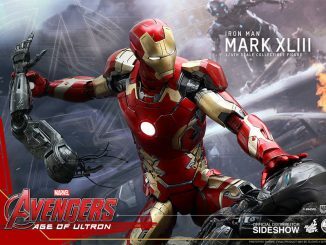 The Egg Attack Iron Man Mark II Special Floating Edition will be available March 2015 but it can be pre-ordered now for $144.19 at Hobby Link Japan.